Four policemen attached to Sabongida-Ora Division were, yesterday, killed by unknown persons at the road intersection between Oke-Ora and Avbiosi in Owan West Local Government Area of Edo State. Vanguard gathered that the policemen, who were on patrol, were victims of an ambush, as their assailants shot them when they were about to alight from their Toyota Hilux van, which was then set ablaze with the bodies inside, even as their weapons were allegedly taken way by the assailants. 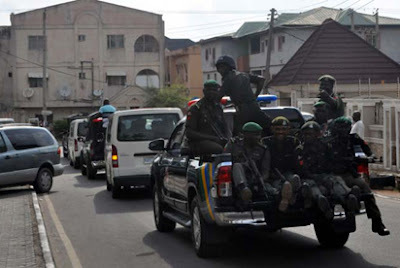 Chairman of Owan West Local Government Area, Mr. Frank Ilaboya, who confirmed the incident, said in a telephone interview that “from information available to me, the policemen were about to alight from their vehicle when the assailants opened fire on them.